Gorgeous Kitchen Design Lands Feature In Luxury Homes + Estates – Design Your Lifestyle. If you haven’t checked out Gallery New Jersey – Luxury Homes and Estates, now’s the time to start. Perhaps the regional tone of its title puts you off – don’t make that mistake. Gallery New Jersey features some of the most stunning home design layouts we’ve seen in any publication, and home design and interior design lovers will love their work. 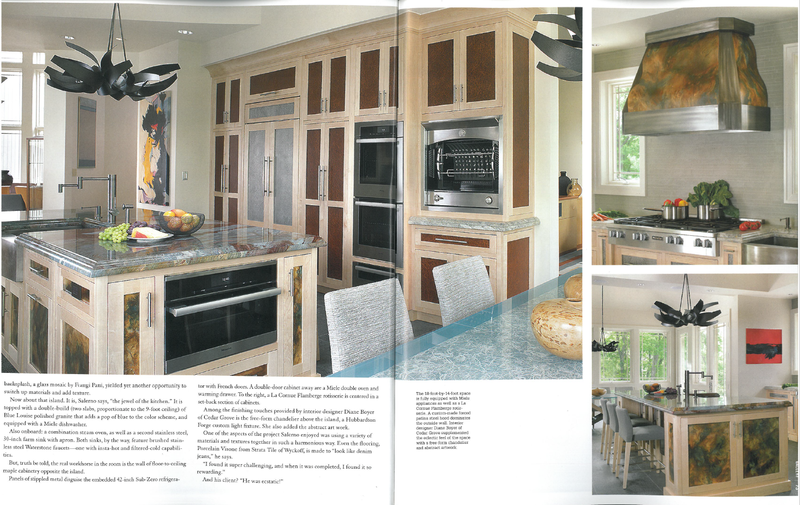 Written by Trudy Walz and photographed by Peter Rymwid, this kitchen design feature layout appears in the latest issue of Gallery New Jersey – Luxury Homes and Estates. 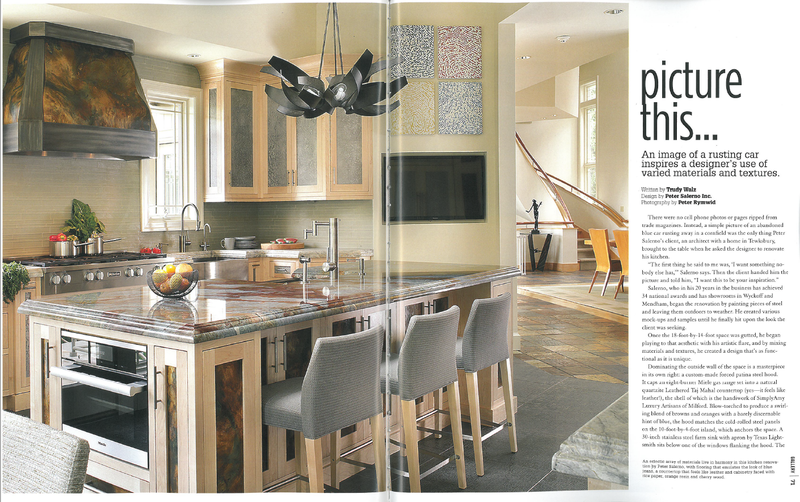 The kitchen design, created and executed by Peter Salerno Inc., is inspired by (of all things) a rusted car. All told, this one of a kind eclectic kitchen features multiple working stations, and state-of-the-art appliances that are chef’s quality but amenable to non-professional cooks as well.